Have fun with this Kapla's 200 Block Creative Gift Set! For children aged 3 to 99 years. Instruction booklet included. Looking for something different as a gift this year? This 200 Block Creative Gift Set by Kapla just might be the one! This high-quality wood construction toy is an interactive and creative game for children aged 3 to 99 years. Comes in a unique storage box. Illustrated instruction booklet included. Kapla produces fun and educational toys that help build childrens creativity and imagination, an important part of childrens growth and development. By combining the skills of ingenuity and creativity, Kapla products help increase children’s capacity to concentrate and develops their ability to adapt to an ever changing world. 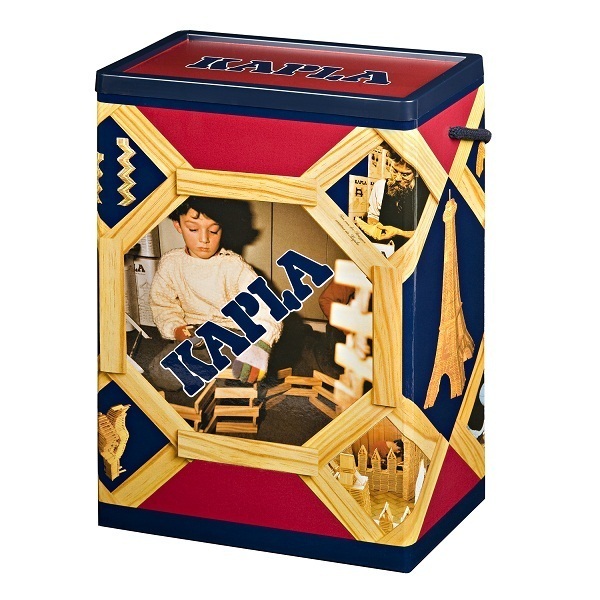 Kapla products are a perfect way to introduce children to the world of art and creativity! All Kapla wooden building blocks and games and toys come from sustainably managed forests, the majority of the wood is sourced from Landes pine forest, in the south of France. All Kapla wooden building blocks come from sustainably managed forests, a lot of the wood is sourced from Landes pine forest, in the south of France.